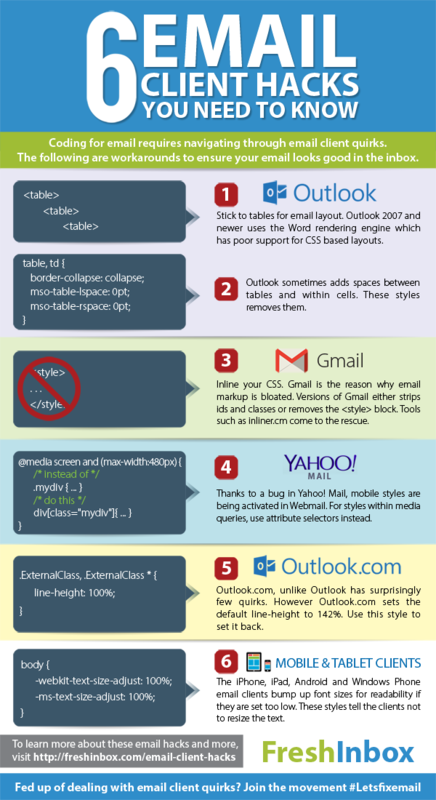 Cutting your teeth in email design requires knowing the quirks of the major email clients. If you or a team member has just been introduced to the black art of email design, these simple tips may just save you hours figuring out why your design looks broken on certain major email clients. For a detailed breakdown of the CSS support of the major email clients, check outCampaign Monitor's CSS Guide.